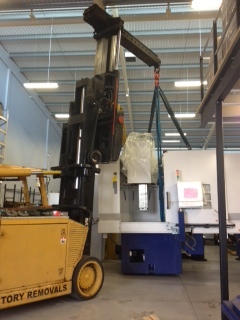 40/60 versa lift shortens the time scale your machines are switched of and makes the dismantle & re-assemble much easier. 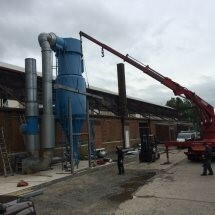 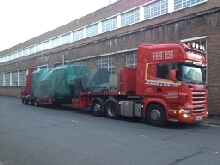 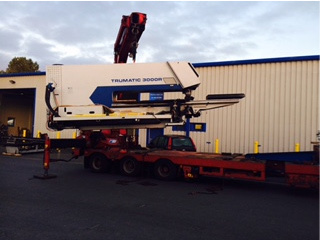 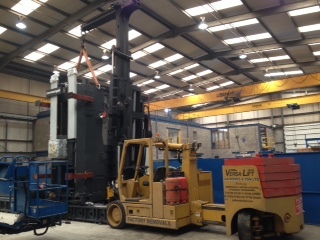 New machines- New machines arriving direct to site where our team use 40/60 versa lift & Crane lorry to unload safe fully then install in factory. 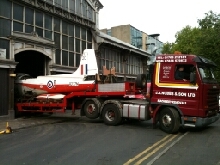 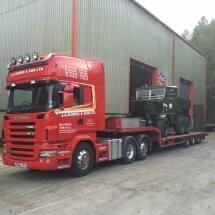 We even move older trucks that are to slow for the roads today. 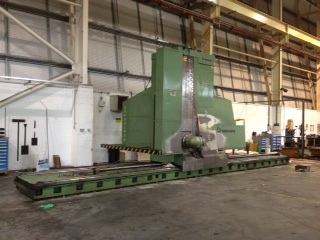 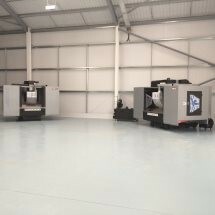 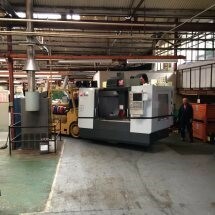 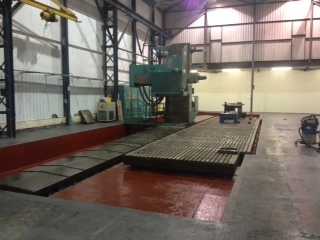 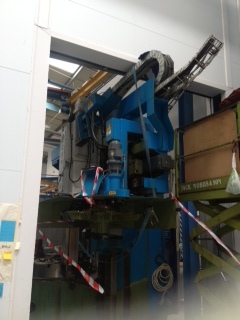 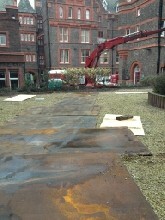 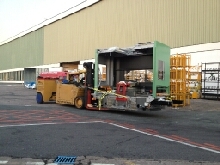 No Marks – New machines going into factory where the floor can not be mark. 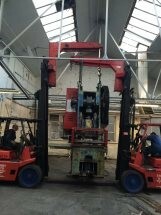 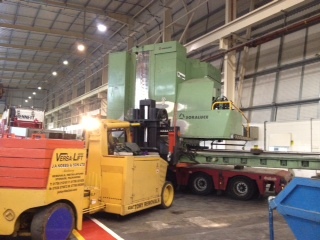 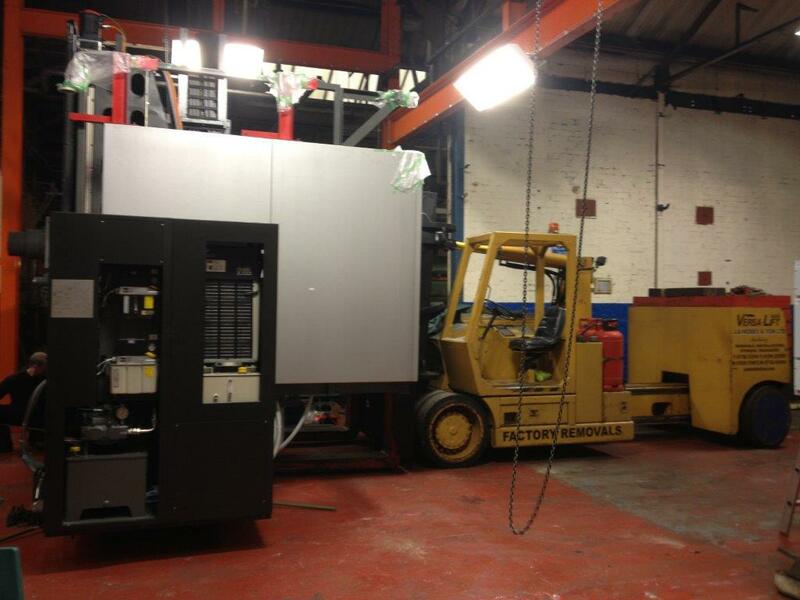 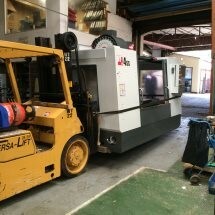 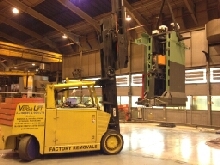 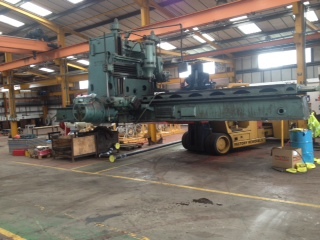 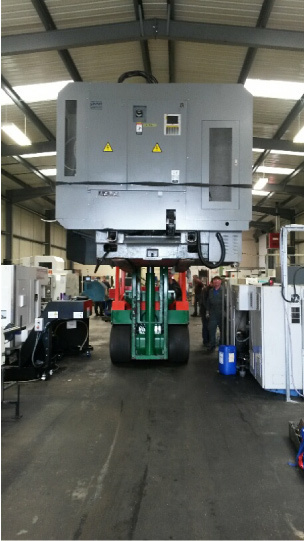 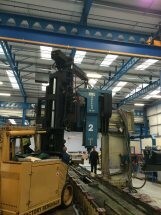 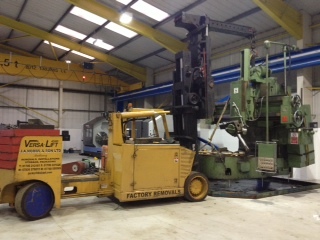 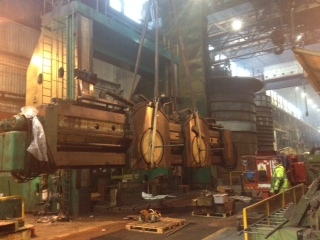 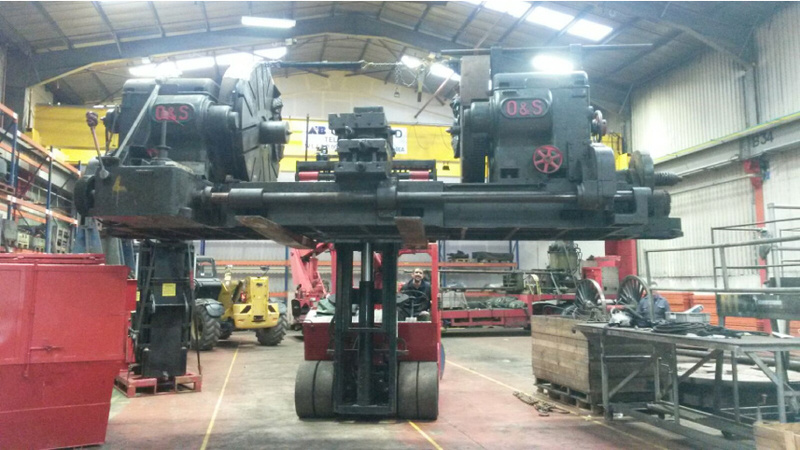 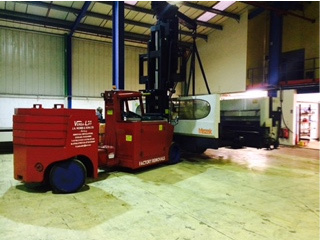 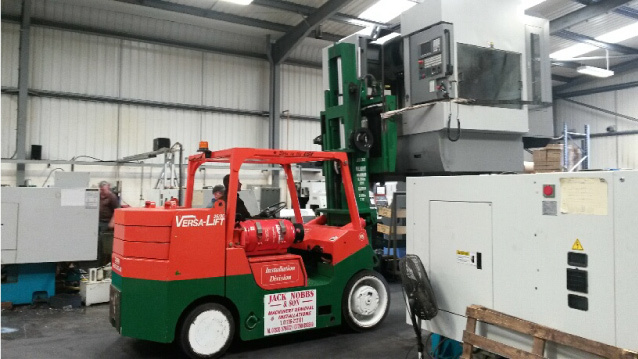 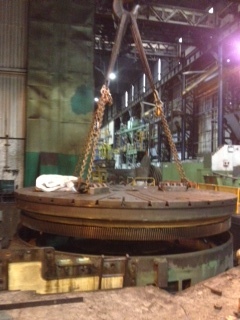 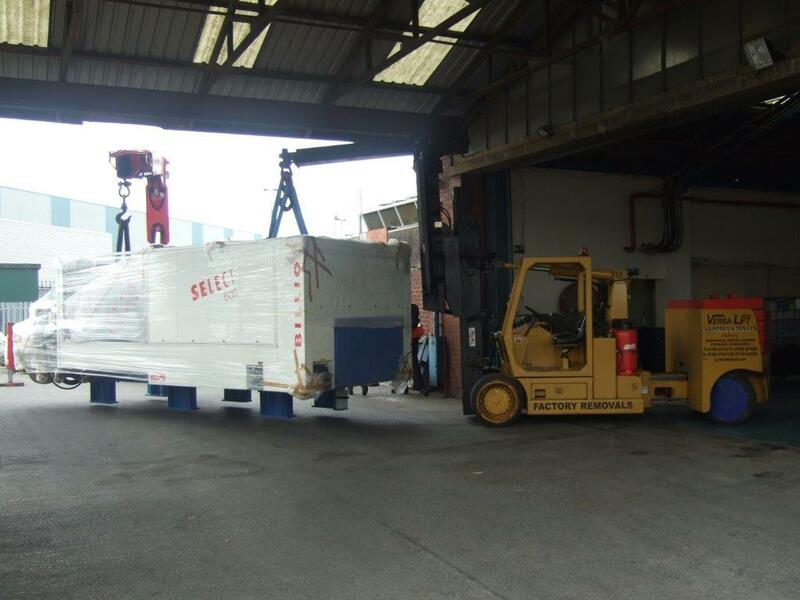 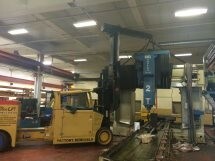 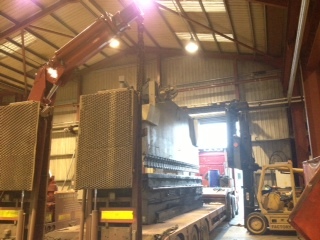 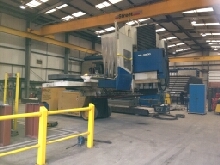 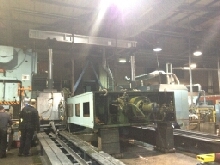 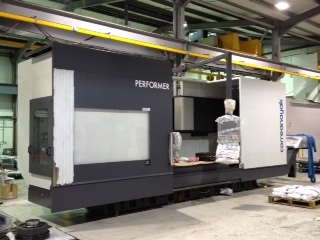 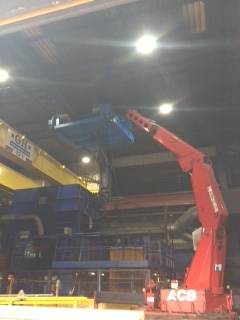 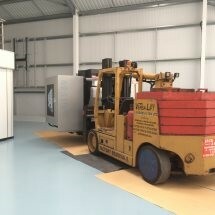 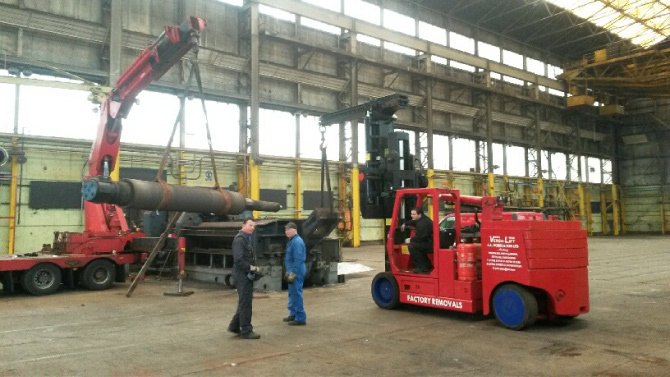 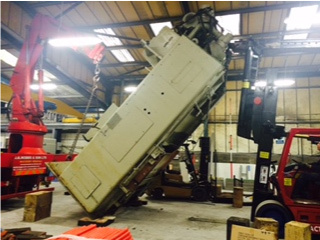 A 25/35 versa lift makes light work of moving 9 ton cnc machines in & out of factories. 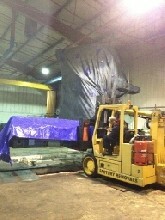 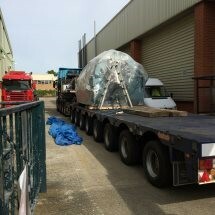 Small item but very heavy 60 ton gross weight being wrapped for shipment transported to docks final destination South Korea. 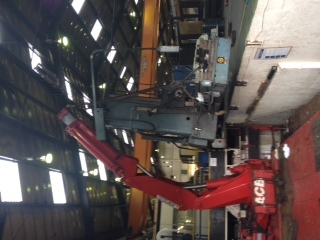 25/35 versa makes it an easy job putting 10 ton press brakes in work shops. 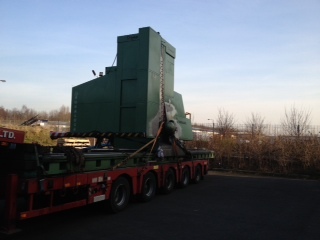 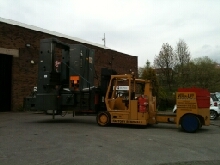 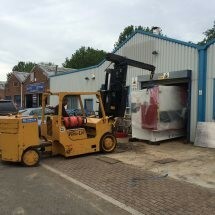 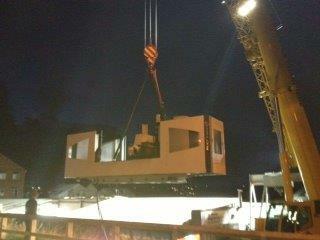 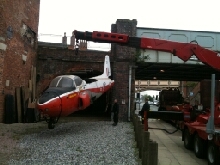 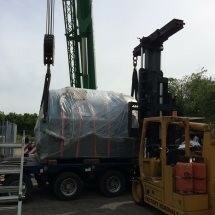 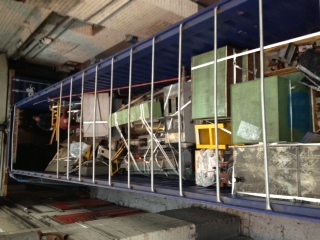 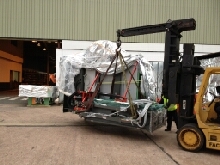 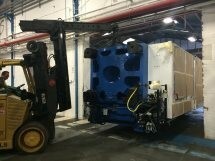 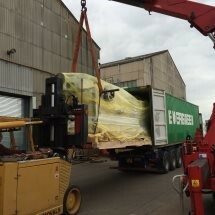 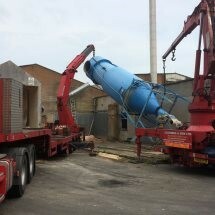 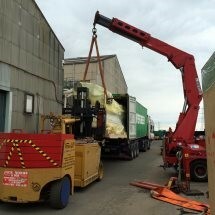 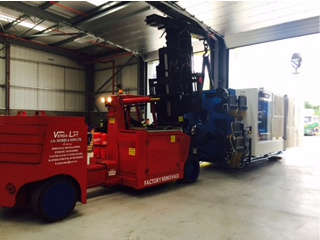 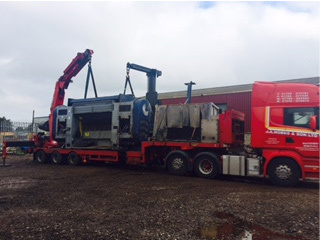 New Heavy injection clamp units being moved in to factory with the versa lift. 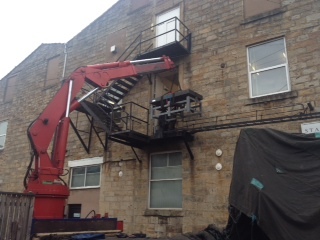 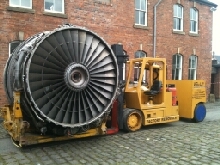 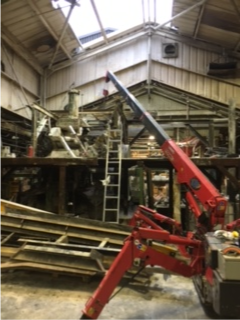 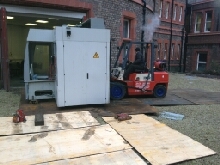 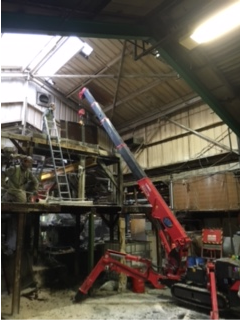 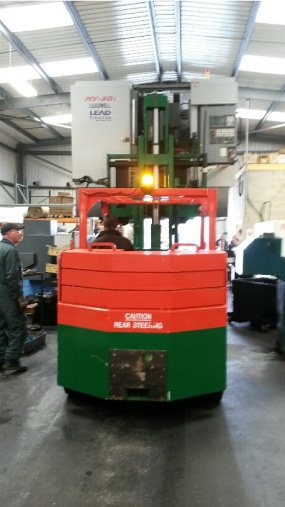 The S7 fork lift with the expertise of our crew making light work of laying presses over that are to high for the workshop door.